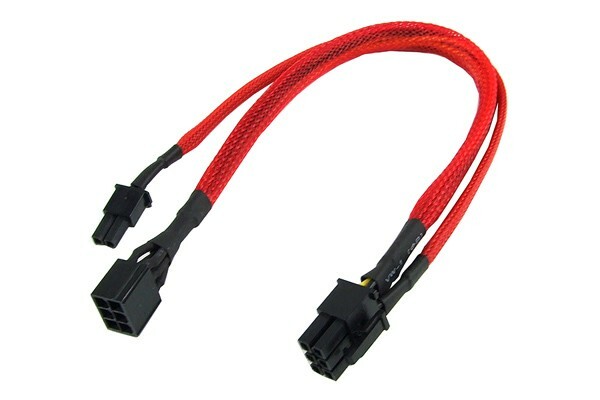 A cable for extension or adaption of a 6-Pin plug. It is great to bridge even longer distances from the PSU to the graphics card(s). Especially in order to keep the system clean inside this cable is perfect. It also allows a 6-Pin plug from a PSU to be adapted to a 8-Pin plug. This cable is shipped completely sleeved. This doesn't just look great, it also protects the cable which can increase the lifespan of the cable significantly. And it looks just great!